This Monday’s video Samuel explores the BMV property strategy. In order to successfully negotiate to BMV’s, you should never be a motivated buyer when you are overly motivated to makes purchases you can easily make mistake or overpay for a property which can be a disaster long term. Always try to be calm, cool and collected when going through the process. Samuel truly believes that the key to being successful when buying properties is to find a motivated seller. Someone that truly wants to sell their property. A key website to finding the most ideal BMV’s is the site Gumtree. Anyone selling a property on this website is beyond motivated. It will just take the right person to come along and make them an offer that they are seeking. When using Gumtree search the oldest listed properties on the website and start reaching out to these ones first. Don’t be afraid to pick up the phone and give people a call. Find out what the problem and why they are not able to sell the property. See if you figure out how you can make the deal work. Let the world know who you are. 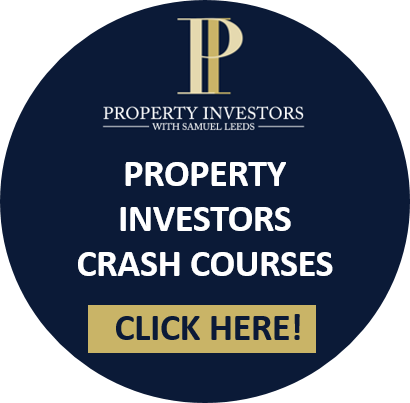 If your property investors scream it from the rooftops build your brand as a reputable investor. Build an honest and solid relationship with estate agents tell them what you’re looking for. Even if they are not able to find you a property right away continuing a solid relationship will ensure that if a potential property comes along you’ll be one of the first people to pop in their minds. Learn what the true market value of a house is, you don’t want to overpay. A tip to finding this out is by checking what other properties have been sold on the same street. This will determine what offers you should be putting forward. Just because the owner has listed the property at a certain price doesn’t necessarily mean that’s what the true value of the property is. Sticking to these simple steps can go a long way in finding the ideal BMV and the best way to close the deal.